Why buy High Strength Rosehip ? This is the new and improved version of our 5* Rated, highly popular 5000mg tablet - a new double strength formula. 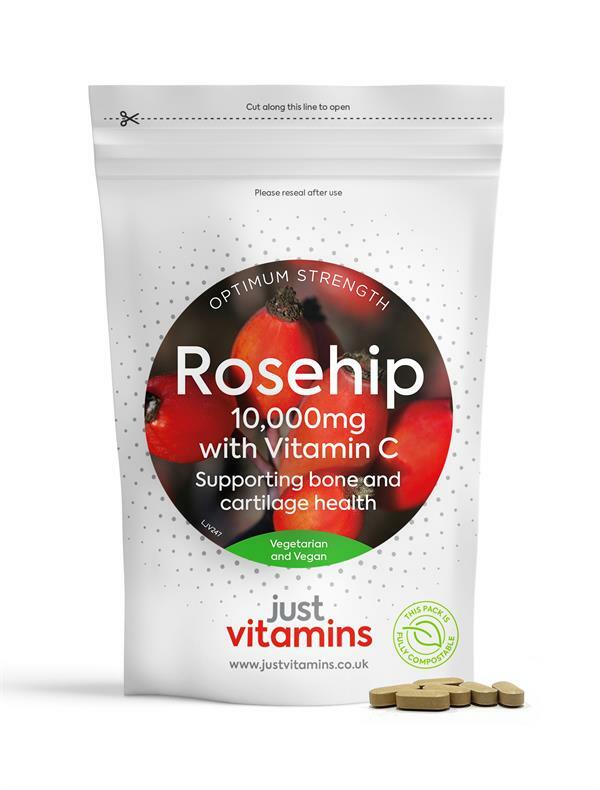 Just Vitamins double-strength rosehip tablets contain the equivalent of 10,000mg of rosehip berries from a wild variety called rosa canina. These are one of the most potent strength tablets available in the UK. Each tablet is available as an easy to swallow tablet with a clear coating to help the tablet reach the gut without leaving a taste. Rosehips are a naturally rich source of Vitamin C but we have taken the step of adding more, with each tablet providing 100mg. Vitamin C contributes to normal collagen formation and the normal function of joint cartilage, gums, skin and blood vessels as well as the normal function of the immune system. Rosehip is a great source of Vitamin C, as well as other Vitamins, essential fatty acids and flavonoids. It is also a rich source of antioxidants. 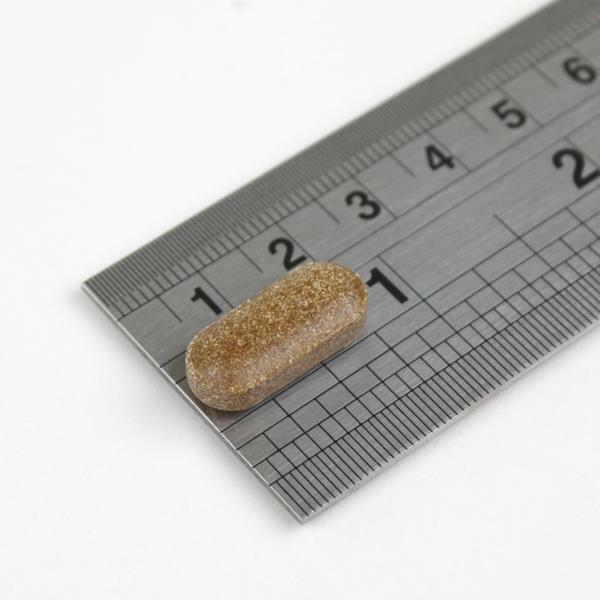 Each tablet contains 500mg rosehip extract in a 20:1 ratio equivalent to 10,000mg of whole rosehips. Rosa canina has much research behind it and is backed by many scientific studies, it is a very popular partner to Glucosamine. The extract contains polyphenols and anthocyanins, which are believed to ease inflammation. The active ingredient is taken from the red fruit that ripens after the flower dies and then concentrated into a 20:1 ratio containing 500mg rosehip extract.